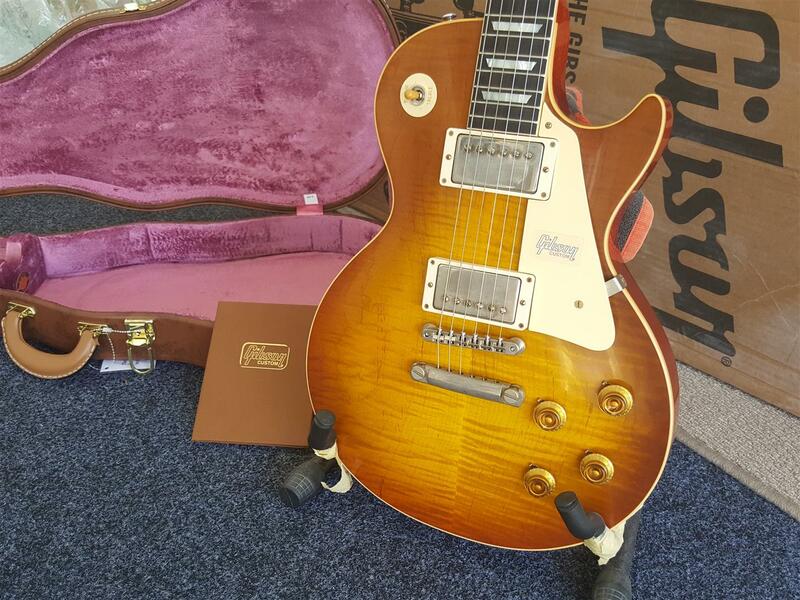 Brand new Gibson 2018 Les Paul Standard Historic Collection 1958 Reissue Custom Shop VOS - Royal Tea Burst. Not been a demo. These Historic Reissues allow musicians to experience the Les Paul as it was back in the day. They are the best guitars on the planet IMHO. In 1958, Gibson parted ways with the gold finish on the Les Paul Model and introduced the "Les Paul Standard," a refresh that featured a center-seam maple top, red aniline dye back and sides, and a beautiful transparent Cherry Sunburst finish. While only that one color was available originally, exposure to sunlight and subtle variations have made each original example unique in color. Gibson Custom picked four beautiful sunburst variations for the new 2018 Historic Collection, each bringing out all the character of the unique maple tops. And just like the 1958 originals, the neck profiles on these Historic models are just a bit beefier on average when compared to a 1959 - a comfortable chunky C-shape. Two new updates for 2018 include the inclusion of all True Historic-spec parts and, for the first time, narrow/tall frets which bring the tone and playability closer to the character of the originals.